Despite having just a hedge between us and the road, our night at Hunter’s Moon had been undisturbed. 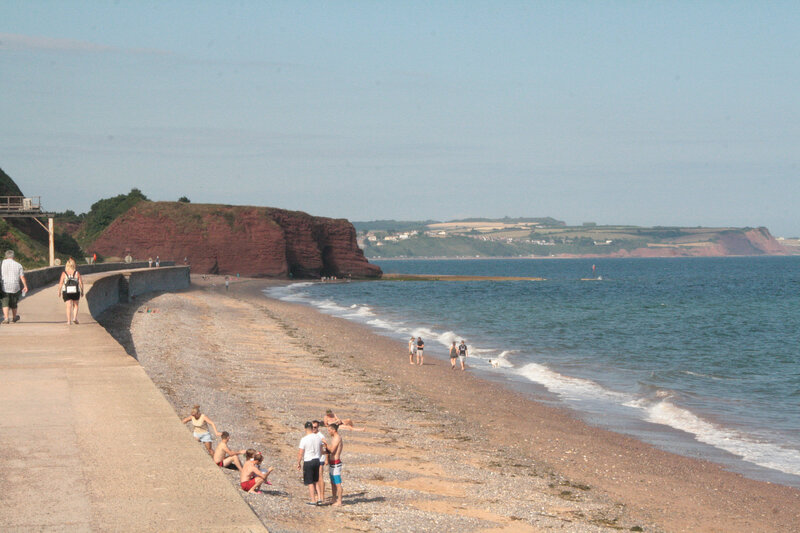 Unusually for us our final destination for today was already determined – during the previous evening we had booked our next night at Lockwood House Campsite, near Dawlish. 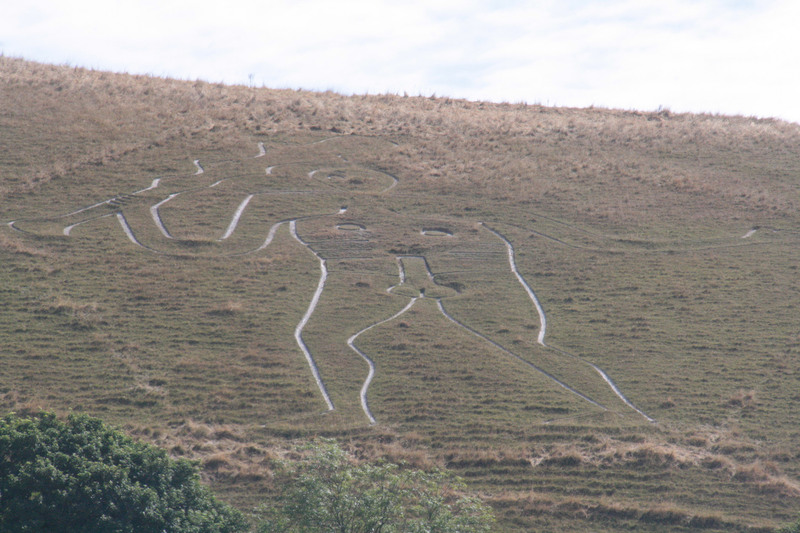 But we were just down the road from the Cerne Abbas Giant, so we couldn’t leave the area without taking a look. We stopped at a well signposted viewing point in Cerne Abbas village – plenty of space to park the motorhome. 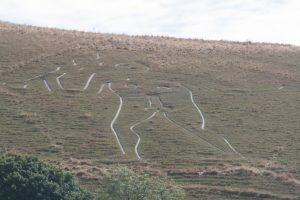 It provided an excellent view of the lusty giant, along with background information. It looked like a good base for a circular walk, but that will be for another day. As we journeyed on in the summer holiday traffic passing close to tempting places like Lyme Regis, we were caught on the horns of a dilemma. 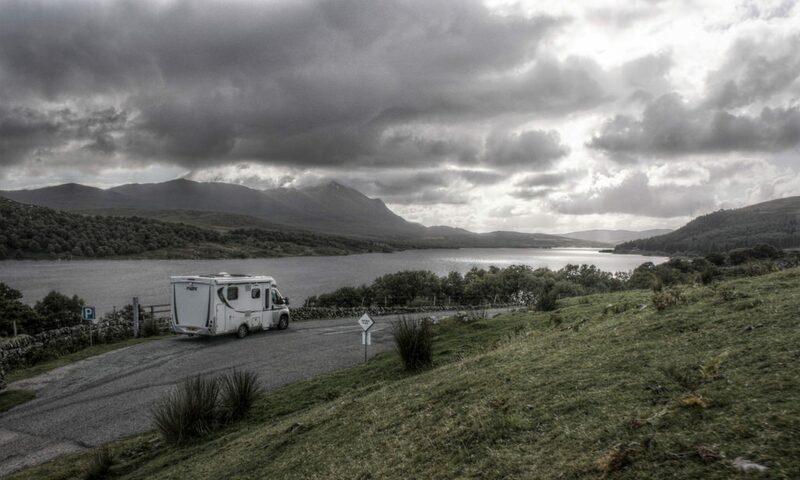 Do we simply travel on to our destination site, or find somewhere interesting for lunch en route? 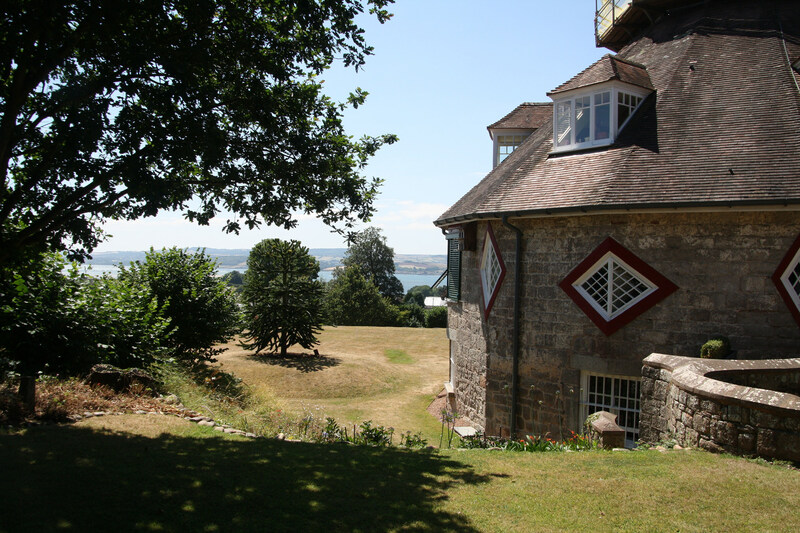 A quick Google offered us the National Trust property A la Ronde. 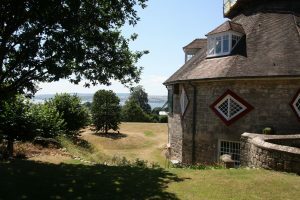 This is a quirky 16-sided building – not a huge country estate, but still a surprisingly large building with a great view over the Exe estuary. The geometry is certainly interesting. The outside has sixteen sides, and inside the centre of the building is a full height octagon, with rooms on multiple floors around the sides. Just to add to the challenge, the windows are on the corners. One can only sympathise with the builders who had to execute this unique design. This a small 5-van site just outside Dawlish, right opposite the recently opened Dawlish Countryside Park. 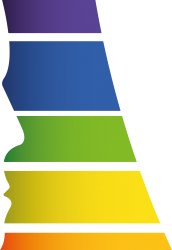 The site is small, but well equipped and smart. The adjacent Countryside Park adds to the attraction of the location, providing a walking link to the coast and its associated paths. For some reason bicycles are not allowed to use the Park, and the main road location is unpleasant for bikes so my exploration was on foot, to Dawlish Warren and then along the sea-wall towards Dawlish, looping back on the coast path which at this point is high up, well away from the coast. This area is not really my sort of seaside – family holiday resorts don’t do it for me, but away from the bustle and obese sunburnt bodies, the coast path was very peaceful and pleasant enough.